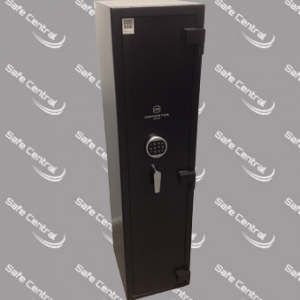 The compact sized GC-0 provides entry level compliant security for 3 rifles, utilising dual high security key locks from one of the world’s leading key lock manufacturers. 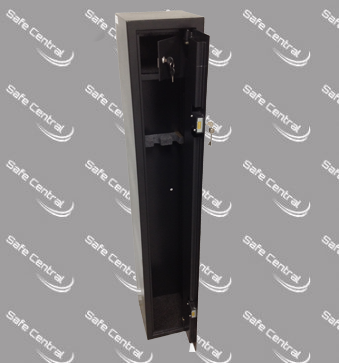 Entry level firearm cabinet utilising a dual key locking system, secured by Australian made Ross branded key locks and back by Dominator Safes 5 year warranty. A 3 rifle capacity, with internal ammunition compartment provides simple and compliant security for firearms and other controlled equipment. Some State and Territories have additional storage and security requirements for different firearm types and for increased quantities. You should read further to ensure your storage container is compliant. 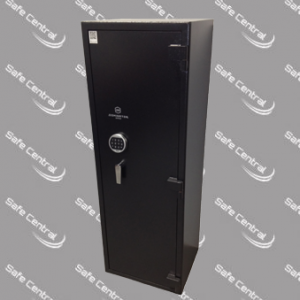 Firearms storage compliance information is provided only as a guide. You should make your own enquiries with the relevant State/Territory authority to confirm the current regulations for your applications.